Mousing for giant rainbow trout and Dolly Varden is one of the highlights of an Alaskan fly fishing adventure. Nothing beats watching the biggest trout of your life stalk and then hit your chugging mouse fly. And that's just the beginning of the fun! After that, there's the jumping, cartwheeling, and shouting....and that's just from the fishermen! The trout do pretty much the same thing, minus the shouting. No matter how you look at it, it sure is fun. Here are the mouse patterns we recommend for your next trip to Alaska. 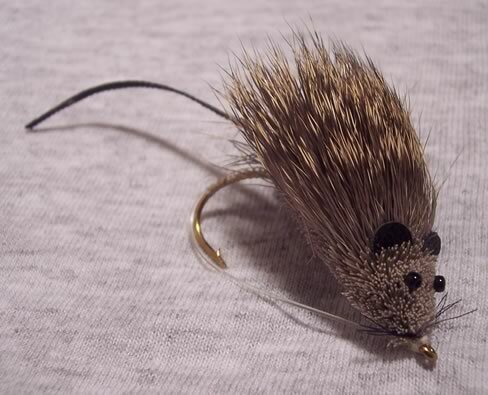 This mouse pattern is a real floater, especially useful on fast waters. 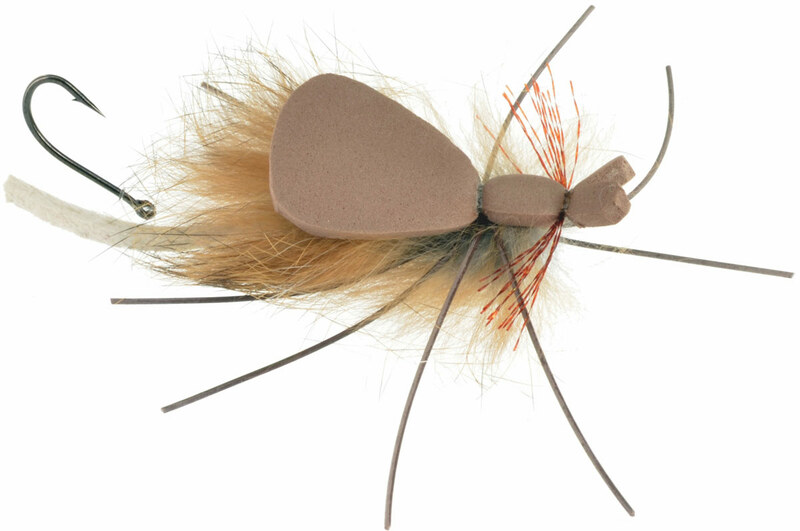 Spun and trimmed deer hair topped with a foam back maintain bouyancy and keep this fly floating high upon the surface and away from snags. Great pattern to wake across the current or on the swing for rainbow, steelhead, and silvers. A real favorite "up North." Size: 2. Dave Whitlock gets credit for this beautiful fly pattern. Looks like the real thing, and when waked across the current or plopped off a bank, will fool any rainbow, Dolly, or char. Even silvers have been known to attack this pattern. Spun natural deer hair, with realistic eyes, whiskers, and a tail. This pattern makes a great wake on the swing. Size: 2. 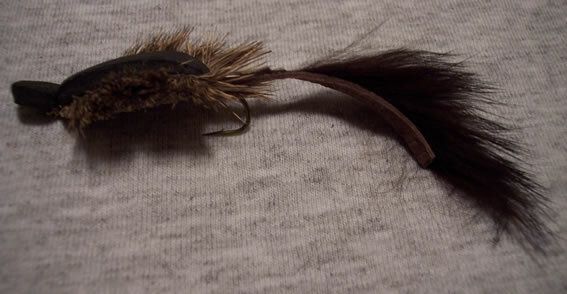 One of the newest mouse patterns that fishes with a lot of life-like motion on the water. Mr. Hankey has a foam back and a trailing hook, making short strikes and water-logged flies a thing of the past. No matter how you cast it, he lands right side up and ready for hook-up. Great pattern for rainbow, char, and pike in the backwater sloughs. Size 2. Copyright © 2019 Bristol Bay Flies. All rights reserved.